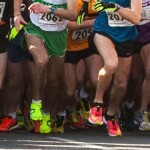 Check out any run or road race and one of the first things you look for is the entry fee. For a 5km road race, that might be €20. You click on the “book now” button only to discover that the online entry fee is not €20 but €21.40. The extra €1.40 is to cover something called a “handling” fee. If you book two or even ten entries at the same time, using the one credit card, each one of those has a “handling” fee added on, although we’re talking about one transaction conducted by a computer, so where the “handling” comes in is something of a mystery. As with Ticketmaster, the fee extracted is based on a percentage of the fee you have paid, which implies that our aforementioned computer finds it harder work “handling” a marathon entry fee costing €70 than a 5km costing €20. You have to admire the genius who invented this business model, which is as close to money for nothing as you are going to get in this world (outside of a Virgin home phone line. But that’s another story). Some race directors have the wit to absorb this “handling” fee. So when they say their entry fee is €20, it is exactly that. The customer knows exactly what they will have to pay from the start; €20 means €20. That’s good. Plus it looks better in the pre-race publicity. The less savvy pass on the cost to their “customers” not realising how irritating it is to have a fee of €20 suddenly becoming inflated by an extra €1.40 for no good reason. And this is a fee you cannot avoid paying – unless you meet the race organiser in person. For a start, race organisers should make it quite clear how much it costs to run in their race.The “handling ” or “transaction” fee should be included in the stated entry fee. Next they might consider standing up to the race management companies and insisting on a fairer way of paying for their online registration service. There are two acceptable options: a one-off fee for the management of a race, or a single fee for each transaction of, say, €1. If the companies don’t agree, well, there’s always snail mail. Or a return to the two on times, two on numbers system at the race finish, which still works perfectly well for smaller events. And, of course, there are the Parkruns, which cost nothing.